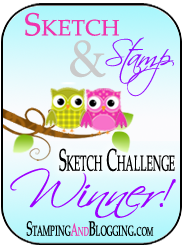 Hi Stampers, Welcome to our Happy Stampers Blog Hop. I hope you enjoy the cards we have made for you today. Todays hop was a color challenge. We used more fall colors, the beautiful deep Cajun Craze, buttery Crushed Curry and fluffy Pumpkin Pie. My card was a another fall card using the “For All Things” stamp set. The Background: inked with soft suede with the “Gorgeous Grunge” stamp set and “For All Things” Cajun Craze leaf stamp. I then ran it through the big shot using the wood grain embossing folder. The 3-D leaves were fussy cut using the “For All Things” stamp. I used the rock and roll technique for this. I stamped my image in the crushed curry and then rolled the edges of my leaf in the pumpkin pie. To soften the edges abit I then used my sponge dauber to blend the colors. The dark leaves are soft suede, also fussy cut too. Linen thread, candy dots and pearls gave the card the added dimension that I was looking for. The banner was stamped again with a stamp from the “For All Things” using the ink to rubber technique. I used the Stampin marker and colored the words with cajun craze and crushed curry. The finishing touch was the pumpkin pie cotton ribbon that I wrapped around the banner. The linen thread in the background added more texture too. When I was making this card I wanted to use the baby wipe technique and some reinkers. The card below is the finished product from that process. Even though I like this card, it did not have the look I was going for. After about 4 more attempts and coloring different leaves and using other techniques, I came up with this card. I wanted to show you the first draft (the card below) as an option for the card. Please do visit each team member today. We would love to hear from you so please leave us comments. Click onto each name to direct you to each of our posts or use the Next Blog Hop button. This will link you to all of the cards we are sharing today. This entry was posted in Fall, For All Things, Uncategorized. Kristi, I love the coloring on the leaves. Wow, that is really pretty! I tend to forget about that set, too. You did a beautiful job! Soooo love our leaves in any way…Soooo pretty! Such a beautiful job. Love both cards. Thanks for the reminder about the techniques!!! And I too have some sets that are in need of some love!! Hugs from Shelagh. wow, stunning leaves Miss Kristi and just a beautiful Card, like Mary I love everything about it.